What LED Light Strips or Ropes Are Best To Install Under Kitchen Cabinets? Question: I am going to install LED lights (either the LED rope, tape lights, or the flat LED strip) under my kitchen cabinets. What I would like is multiple color choices. 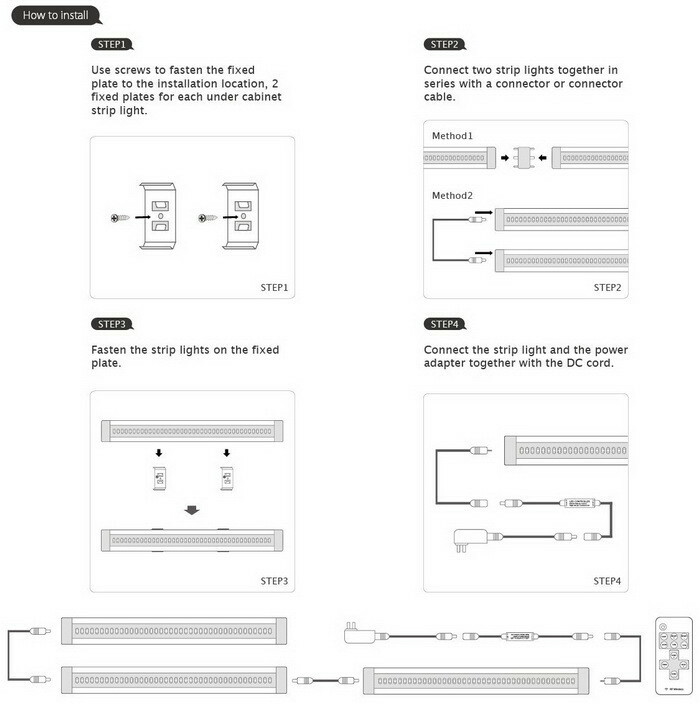 I also want to be able to dim the lights by using maybe some sort or dimmer to make all the lights dimmable. I have some knowledge of lumens this is the brightest, but are all those lumens needed? Will I need to get a special transformer if I want the LED lights to dim? 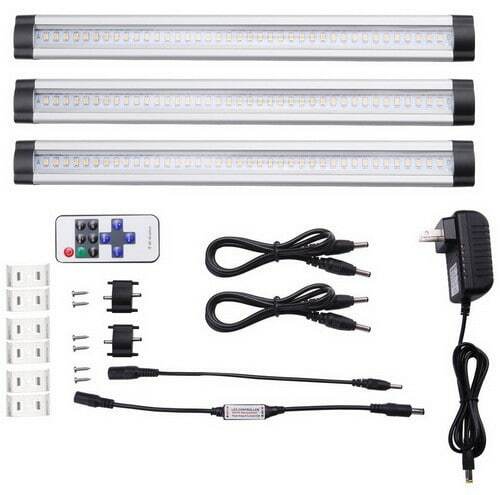 Do they sell an LED under cabinet light kit with everything needed? What would you recommended? 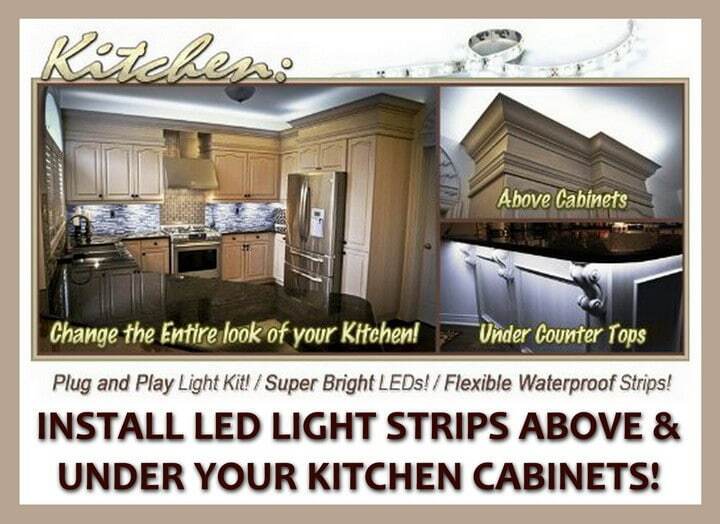 Answer: The best type of LED lights to install under your kitchen cabinets is Cool or Warm White or RGB SMD LED’s. There’s 2 kinds of white LED’s: warm and cool. 1 – The warm white LED’s create light that is similar to an incandescent light. The warm LED’s make the environment warm and soft. 2 – The cool white LED’s are good if you want a more modern look in your kitchen. The cool white LED’s provide more usable light. If you get the cool white LED’s please know that if you get anything over 6000K it will look blue. Find something between 4500K and 5500K for a nice modern look. To be able to dim the lights, make sure the ones you purchase say that they are “DIMMABLE”. 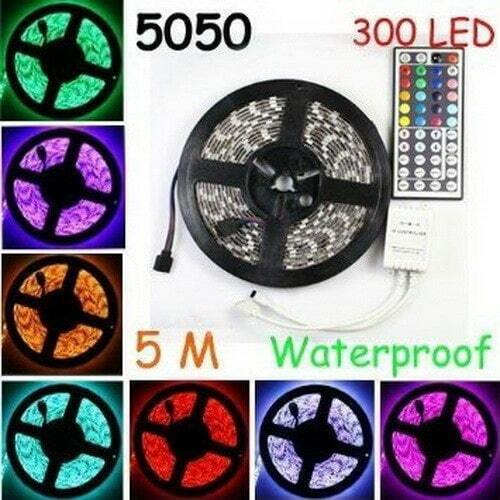 If you are looking for multi colored lights for under your kitchen cabinets, get an RGB strip. An RGB light strip will show the entire visible light spectrum. The only drawback with RGB strips is the pure white setting will have a blue tint to it. This is common on RGB strips since all three light emitters, the red, green, and blue in each LED light up to combine and make the color white. If you choose RGB lights, you will need an RGB controller with a remote. Some RGB light kits include these but if you are doing a custom LED light strip job, you MAY need to buy them separately. Installing the RGB lights are more involved because of the IR receiver that receives signal from the remote to turn off or change the colors. To be able to dim the lights, make sure the ones you purchase say that they are “DIMMABLE”. 1 – Some are encased in an opaque white or translucent silicone tube that you can easily use 3M stick pads to make them stick under the cabinets. 2 – The other type is a skinny strip that comes on a large roll with a sticky side on the LED strip itself. If your LED lights don’t want to stick with the included sticky pads, use some double sided foam tape to stick them to the underside of the cabinets. You can also cut the LED strip at it’s marked segments and route extension cabling through shelving and cabinets so that the entire kitchen becomes illuminated when it is switched on. You may need to purchase clamps or brackets to hold the LED strip. On some strips there is no locking catch for the power connections between strips. This means they push onto the pins and will come off easily. So clamps and or brackets may be needed to install the light strips to keep them securely in place. Be careful with the manufacturers claim about lumens number. Sometimes they use theoretical maximums to make the product look better when in reality you get a power supply that drives them at a much lower current. Do you have other ideas or ways to install LED rope or strip lights under kitchen cabinets? Please help everyone out with your tips or tricks and leave a comment below.